Waymo,Cruise, Intel/Mobileye, and Tesla are the major contestants in the self-driving car race. Each has developed a different business model. Waymo and GM are using laser-radar technology, while Mobileye and Tesla are relying on cameras and sensors. We’re quite close to witnessing the arrival of widespread self-driving technologies that consumers can actually experience. Alphabet’s Waymo and General Motors’ Cruise are planning to launch ride-hailing services in major cities in 2019. Waymo is already testing the service in Phoenix, and Cruise has been experimenting in San Francisco. Meanwhile, Intel bought Mobileye last year, and the tech giant is aiming to provide self-driving technology to automakers, building on its existing expertise. Tesla is of course also in the picture, with its Autopilot technology. Not all self-driving systems and business plans are the same, however. In fact, Waymo, Cruise, Intel/Mobileye, and Tesla are each taking different approaches to autonomy. Waymo has the most miles driven under its belt, but it has to partner with automakers to have vehicles. After testing, testing, prototyping, testing, and then testing some more, what was formerly known as the Google Car project had a lot of observers wondering if Waymo would ever be able to commercialize the millions of miles it had racked up over nearly a decade. That question was answered in early 2018 when Waymo revealed a business plan to launch a ride-hailing service in several US cities. CEO John Krafcik also maintained that Waymo could use its technology for logistics and delivery services, help mass-transit to solve end-of-trip problems, and possibly even licence the self-driving system to other players. 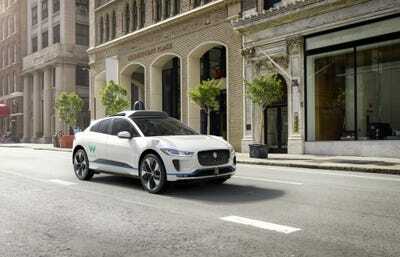 Waymo has developed what it calls a “driver,” which is a combination of software, sensors, and critically, laser-radars (lidar). The idea is that this driver can be installed on any vehicle, from a passenger car to a large over-the-road semi truck. Of course, Waymo doesn’t actually build any vehicles, so for the plan to work, the company has been signing up partners: Chrysler and Jaguar Land Rover. Cruise has the major advantage of being part of one of the world’s biggest automakers. 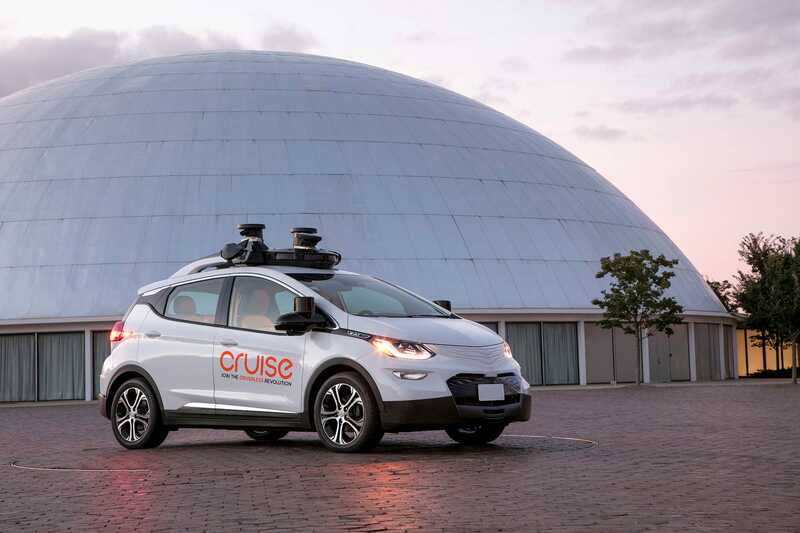 Cruise was acquired by GM in 2016, to a total price of $US1 billion with hiring costs and expansion spending baked into the deal. The division is now worth close to $US15 billion, after follow-on investments from Japan’s SoftBank and Honda. GM Cruise is currently building self-driving technology into a fleet of all-electric Chevy Bolts that will form the backbone of a ride-hailing service rolling out in US cities in 2019. GM will also partner with Honda to create an all-new platform for Cruise that will be a purpose-built autonomous vehicle, rather than an adaptation of an existing car. Cruise is focusing on the urban environment and, like Waymo, is leaning on lidar while also outfitting its vehicles with other types of sensors and cameras. But the secret sauce it integrated manufacturing at an industrial scale – something that GM has been doing successfully for 100 years. Intel/Mobileye is something of an outlier, but it has plenty of high-tech credibility. Intel bought Israel’s Mobileye in 2017 for $US15.3 billion. Infamously, Mobileye powered the early versions of Tesla’s Autopilot, before a spat between the companies led Tesla to go it alone. Mobileye uses a visual, camera-based approach to self-driving tech that differs from he core of what Waymo and Cruise are doing. Mobileye also has to act as a supplier to clients, rather than being able to assemble its own vehicles. This makes it sort like Waymo to Tesla’s GM, as far as the camera-and-sensors approach goes. The pluses here are that visual tech can work in environments that lidar doesn’t like, such as bad weather. Visual technology can also be cheaper – much cheaper – than lidar, while also being less obtrusive for vehicle design. But to make it work, the self-driving part demands a massive amount of computing power, to crunch all that visual data. Tesla has the largest fleet of semi-autonomous cars on the road, but thus far it hasn’t entered the ride-hailing business. We’re still waiting for what’s been called the “Tesla Network,” but in the meantime, there are thousands of Autopilot-enabled Tesla cars on the road, creating data that can presumably contribute to a gigantic machine-learning paradigm. Tesla is also the only carmaker that’s gone all-in with the cameras-and-sensors approach that also makes its own vehicles and can pursue a proprietary, integrated solution. That sounds great, but that also means that Tesla’s Autopilot – which hasn’t reached the full self-driving capability the company has promised – is currently entirely consumer-oriented. Tesla hasn’t been able to launch a ride-hailing or ride-sharing service, although presumably, it could roll one out in coming years.